A team of researchers, led by professor of biology Barbara Sharanowski, have developed an app that helps farmers identify crop pests and ways to get rid of them. The app allows farmers to avoid the use of unnecessary pesticides and promotes pollinator conservation. Canadian farmers have a new tool to help them fight pests thanks to the ingenuity of researchers at the University of Central Florida and the University of Manitoba. 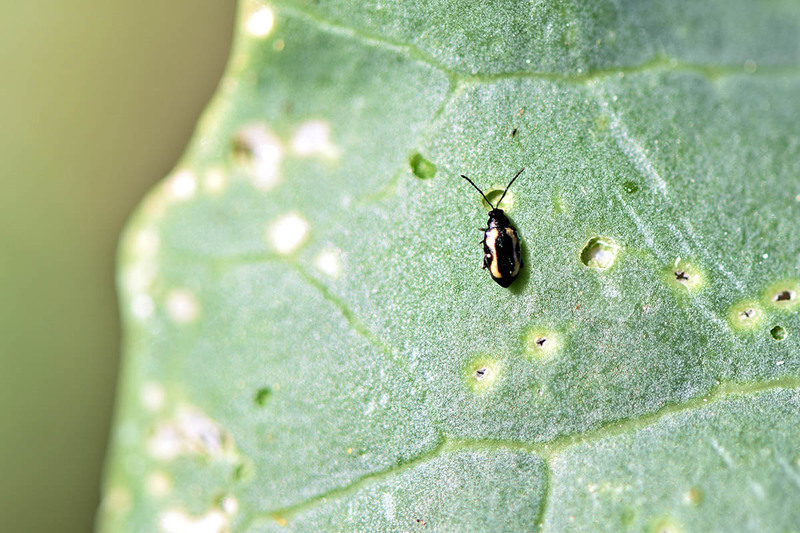 Researchers, led by UCF Associate Professor of biology Barbara Sharanowski, have developed the Mobile IPM app, which allows farmers to quickly identify crop pests and suggests effective integrated pest management strategies. “The app helps farmers avoid unnecessary pesticide treatments to minimize negative effects to the ecosystem, preserve pollinators and beneficial organisms, and minimize economic damage and maximize profits,” Sharanowski says. The IPM strategies, around since the 1970s, are eco- friendly and help prevent unnecessary chemicals from entering the food chain and harming both the natural habitat and consumers who eat the products. The strategies also recognize that farmers have to bring crops to an international market. Some of the crops covered by the app are significant exports for Canada including oilseeds, cereals, and pulses such as peas, lentils and beans. Identification uses interactive key technology with high resolution images that makes identification very simple. Each pest has detailed information on its biology and control tactics, including economic injury levels and registered pesticides. The app is simple enough that specialists and non-specialists alike can use it. It also has a push notification feature to get updates about emerging pests in real time. The app is free and is available on iTunes and Google Play. “We wanted to create an app that provides quick and convenient access to information so farmers can make sustainable pest management decisions for their crops,” Sharanowski says. The app was created with financial support from Agriculture and Agri-Food Canada, Growing Forward2, Western Grains Research Foundation and the University of Manitoba. Additional collaborators on the app include: Researchers at Agriculture and Agri-Food Canada, Manitoba Agriculture, Saskatchewan Agriculture, Alberta Agriculture and Forestry and the Prairie Pest Monitoring Network.